Direct access to Bear Lake and the Beach! MLS#759764 ~ Just Reduced! Private subdivision w/ playground. Unique & functional floorplan for a large family, friends & guests. New stained exterior, lots of storage, walk-in closets, kitchen opens to patio. 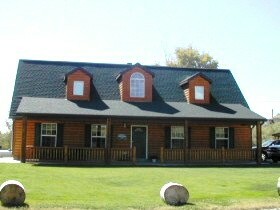 1920 sq ft, 3 bdrms, 2 and 1/2 baths, 2 family rooms, fireplace, vaulted ceilings, Master bath has jetted tub & double sinks. A creek runs behind the property.